Founded as a start-up recruitment business during the 90's in Germany, ALFA now employs staff across offices in Europe, and Asia. ALFA provide staffing solutions to niche vertical markets and in sectors which other crew agencies are unable to effectively service with a high retention rate. Our core market areas are Shipping, Maritime & Marine, Oil & Gas, Yacht, Offshore Crew and the Built Environment. We source and supply hard-to-find candidates to our clients across the globe, on a contract, interim and permanent basis. Our office locations include Leer, Hamburg and Manila. Our decision to establish and grow recruitment teams in these locations has been reflective of our ambitions to provide specialist industry recruitment services in key locations. As a candidate or client working with ALFA you should expect to be serviced by skilled, consultative and technically minded staff who are committed to the highest standards of customer care. ALFA is dedicated to training and developing its recruiters to ensure that they can continue to operate as both sector and recruitment specialists. The group is privately owned, has enjoyed year on year growth and credits itself on training, nurturing and developing its staff. Alfa Ship & Crew Management GmbH is offering crew management for commercial vessels, as well as ship & crew management for Mega yachts. Alfa Ship & Crew Management relies on its uncompromising commitment to quality, professionalism and service. We consistently aim to search out the right answers for ship owners. Since over 10 years, Alfa Ship & Crew Management is a proactive problem solvers working in conjunction with partners to bring the best solutions for our clients. Based in Germany and Philippines, we are impartial and will recommend a suitable jurisdiction for ownership, based solely on its merits and the benefits it brings to our clients. Alfa Ship & Crew Management provides a complete range of services surrounding the ownership and operation of commercial vessels and luxury yachts in today's fast moving world where changing legislation means being up to date is key to protecting the ship and its owner. 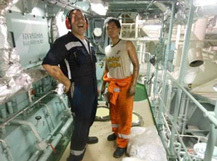 As crew managers we fully understand that success of our clients business depends from crew working onboard a vessel. So, we undertake the full scope of management operations required by our ship-owner clients. It means that each vessel we are responsible for is manned with qualified and well-trained officers and ratings according to our clients demands. As we have different levels of crew in our database we will select best of the best for agreed salaries, check from previous employers, provide working tests, interview with superintendents etc,,,, We perform all crew-related functions including recruitment and selection, long-term strategic planning and pool arrangements, working closes for crew, flag documents for crew, all contacts and costs with agents all over the world to meat and to departure the crew, visas arrangements, and much more. Crew Management •• Our network control system of the personnel allows fast access to all data of crew, color copies of diplomas, certificates and all other necessary documents. Also the system supervises readiness, dates of signing-on and signing off for seamen, essentially simplifies procedure of search of suitable candidates on occupation characteristics. Human Resources •• To be employed in Alfa Ship & Crew Management GmbH, our candidates pass a very careful selection called first of all to pursue interests of our ship-owners and never to do harm to the debugged work of their vessels. We also emphasize that our crewmembers are obliged be able to communicate effectively in English. Our purpose to provide high norm of reemployment of the personnel in this connection we always offer competitive wages, provide a continuous communication with our employees ashore and on professional work. Measuring Manning Quality •• We assess manning quality with the help of computerized tests and independent evaluations carried out by our experienced superintendent staff. We are determined that our crew re-employment rate will stay very close to 100% figures from individuals which have successfully finished their first contracts on our vessels. Crew Nationality •• We employ crew principally from the following countries: Philippines – Europe – India – and Myanmar. Alfa Yacht Division support services operate as a land based support network to assist the Captain and Owner in the smooth operation of the yacht. The only true manager of the yacht can be the Captain, who has onboard control and monitoring of the vessel activities. Our support services ensure the administration, maintenance and operation of the yacht are run at consistently high levels. Having the crew placement service seamlessly integrate into your shore support contract is the key to our success, as without a qualified and great crew the yacht will not run efficiently. Alfa Ship & Crew Management GmbH provides a wide range of consultancy services globally from surveys/inspection to turn key project management. Our Marine Consultancy gained its remarkable reputation by offering hands-on monitoring of its products and services and its good relationship with different institutions like ship owners, international agencies. We believe in detailed financial reporting, strict budget control, and full transparency to achieve success in managing the shipping assets of our clients. As a third-party crew and ship management company, we have always focused on delivering transparent work and reporting processes, adhering to tight internal procedures that provide our customers with absolute clarity when it comes to managing their assets. We follow internationally accepted accounting standards, utilize secure IT systems, and provide our customers with regular financial statements for every vessel. All this is managed by qualified and experienced office teams in Hamburg/Germany and Manila/Philippines. Alfa Ship & Crew Management GmbH provides marine and offshore airfares which are specifically designed to our customer needs. Suitable flights with best price guaranty are always fixed in close cooperation with our client to ensure the very best result. 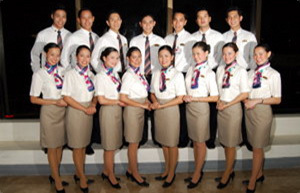 Our big experience and turnover in crew airfares ensures up to date services and competitive prices for any requirement. Alfa Ship & Crew Management GmbH in Germany and Philippines,is the perfect online location to help start your next great career on commercial vessels or Mega Yachts. Our crew placement coordinators care about your next job and we want you as our client now and for many years to come. To begin with you must create an online profile so that we have a clear picture of what you are looking for. Accurate contact information. Please check your e-mail very regularly. A recent photograph. The photograph should be a head and shoulders portrait, preferably in a nautical environment. Please avoid using a picture from a social environment. Remember that this photograph will be the first impression that an employer will have of you. Information on your last employments. Jobs are generally given to candidates with similar experience and to candidates who show a solid career path. From our web page, the application will direct forwarded to our Alfa Ship & Crew management crewing system. Once your online profile is complete submit your information for our review and we will inform you once your file has been reviewed and is active. Depending upon your location, experience and the current job market we may call you for interview immediately. We do not interview all crew unless we have a potential position for you. Think overnight before accepting a position. Speak to the crew coordinator if you have any questions. Often a small question that goes un-answered at the start of a job can result in a position ending sooner than it should. We are here to help you remain employed. Do not be afraid to call us for work advice at any time. Eintragung im Handelsregister der Handelskammer. Bild- und Textrechte liegen bei der Alfa Ship & Crew Management GmbH. Vervielfältigung nur mit schriftlicher Genehmigung der Alfa Ship & Crew Management GmbH.